To begin with, Dell has introduced two new PCs in this form factor. The Dell OptiPlex 7610 AIO features a 27-inch glare-free 4K display which comes with HDR and support for High-Gamut sRGB. The display has extremely thin bezels and if you’re impressed by 4K resolution or want to save some money, the OptiPlex 7610 also comes in a Full HD variant. Both of these display variants come with touch input. The OptiPlex 7610 gets an Intel HD Graphics 630 embedded GPU but there’s also an option to choose discrete cards up to NVIDIA GeForce GTX 1050 with a maximum of 4GB VRAM. It also gets Waves Maxx audio technology for a loud and long-range output. 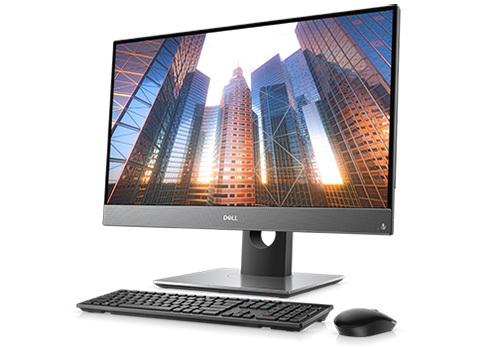 Dell has also introduced a smaller 23.8-inch model, called OptiPlex 7460, which comes with a Full HD display. Just like the 7610, the OptiPlex 7460 features minimal bezels. It comes with up to 2TB of HDD or SSD storage options and with optional support for multiple hard drives using RAID, an array of disks which can be combined and represented like a single disk. The OptiPlex 7460 also supports up to 16GB of Intel Optane drive. Both the AIOs come with up to hexacore 8th Gen Intel Core i7 chipsets, up to 32GB of RAM. The OptiPlex desktops also feature Bluetooth 5 support along with MIMO Wi-Fi. Along with standard USB ports, the AIOs also come with Type-C ports but they lack Thunderbolt 3. 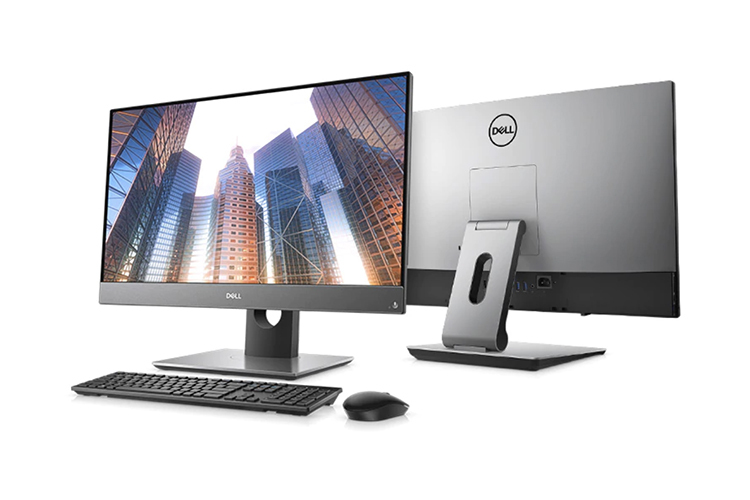 Along with the OptiPlex all-in-one PCs, Dell has also introduced compact and tower PCs for business users with i7-8700 CPUs, and up to 64GB RAM options along with NVIDIA or AMD Radeon graphics. These PCs launched by Dell also come pre-loaded with Dell Data Guardian and Dell Encryption software which prevent a business’ confidential files and other information from falling into the laps of hackers.